Stevensville, MD – Miltec UV, 146 Log Canoe Circle (www.miltec.com) welcomes Gene Shellenberger as the newest member of their engineering team. Gene joined Miltec UV on July 17, 2017 as a Senior Process Engineer. 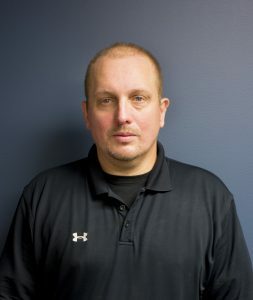 He brings over 20 years of experience in engineering, manufacturing and coating to Miltec UV. Prior to Miltec, Gene owned and operated Elkridge Coating Technologies. He resides in Essex with his wife. Miltec UV’s President, Bob Blandford said, “Gene is very knowledgeable and we can already tell that his experience and technical expertise are going to be an asset to our engineering and service departments”. About Miltec UV: Miltec UV has been servicing the UV industry for 27 Years and is a global leader and manufacturer of both arc and microwave ultraviolet curing systems. Miltec UV offers a wide range of quality UV parts, standard equipment and custom systems designed to interface with existing or new manufacturing production lines. These systems serve a broad diversity of industry-specific applications and market segments. Among the many applications supported are: optical fiber, wire, metal decorating, wood flooring, cabinets, automotive products and many other industries.